I bought these CDs for my wedding, in ceremony and reception. Also, when I created my own wedding video, I used it as background music. 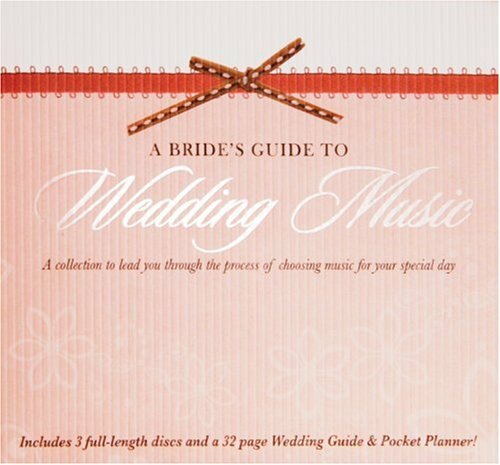 A very complete selection of ceremony music! I am getting married in several months and we couldn't decide what music we wanted at our wedding ceremony. This three disk compilation reminded us of all the great ones- including new options we hadn't thought about. I really enjoyed hearing the organ and strings versions of the songs. If you're someone who hears a classical or baroque piece of music, but can't remember the name or the precise tune, this is a must-have to jog your memory and trigger the tear ducts! 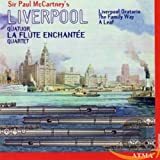 I am enjoying this CD, however I must continually adjust the sound level.Some selections are recorded quite low and some are quite loud.I am constantly reaching for the volume. In 1994 I worked at a music store where I was considered "the classical music expert." How did I earn this distinguished honor you may ask? Well, I had music lessons as a child, had a somewhat good knowledge of classical music as a hobbyist (I am a die hard opera buff and love the symphonic repertoire too), and I was the oldest sales person in the store. I was in my early thirties but most of the other employees were either in or recent graduates of high school. Since I could answer a few basic questions, I was the expert. I was also the jazz expert, movie sound track expert, easy listening expert, and vocals expert. If my life depended on my expertise of these areas, I wouldn't be writing this review right now, but that's another story. Best of American Choral Singing! 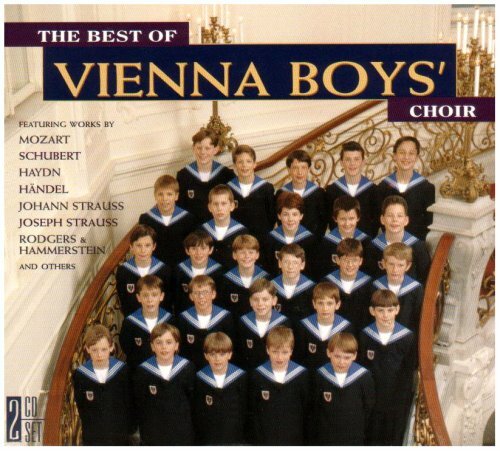 This CD could be the cornerstone of your choral music library! 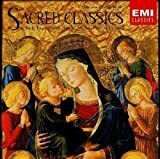 Wonderful performances of all of the essential choral pieces give a wonderful introduction to choral music for someone new to it, and also give a nice sampler of the best pieces for someone already familiar with the music. Listening to each excerpt may inspire you to purchase the entire work! 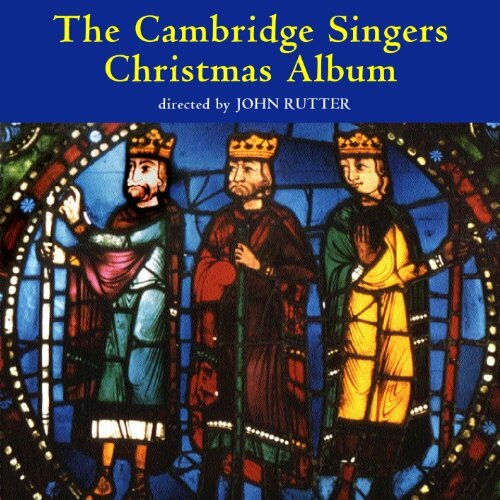 I have the utmost respect for John Rutter and his Cambridge Singers, probably the best choir in the world (at least, the English-speaking world).I have almost all their CDs.Two of their Christmas CDs are "desert-island" class for this listener. 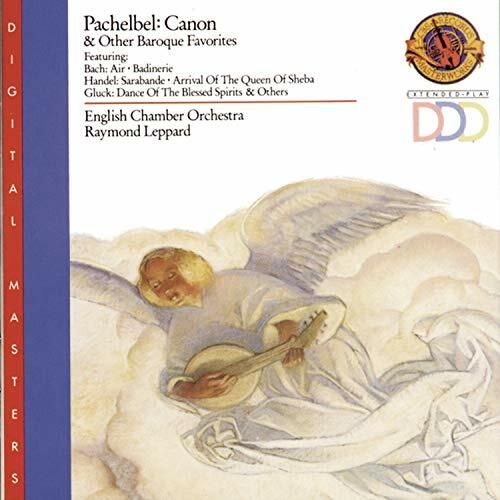 I own virtually all of the CD's of John Rutter (whom I greatly admire) and the Cambridge Singers, and I am a fan of English Choral music in general. 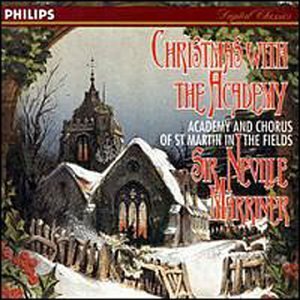 If I were asked to recommend only one of the many Cambridge Singers Christmas albums, or indeed one of any English Christmas album, a hard choice, this would be it. As others have noted, this CD is a compilation of songs from previous cds with four new releases. It is, I believe, longer playing than the other Cambridge albums. 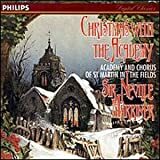 In style, it is a mostly quiet sounding collection--in fact several carols are sung a cappella-- with pieces ranging from carols such as "The Holly and the Ivy" to the more robust "Fantasia on Christmas Carols". 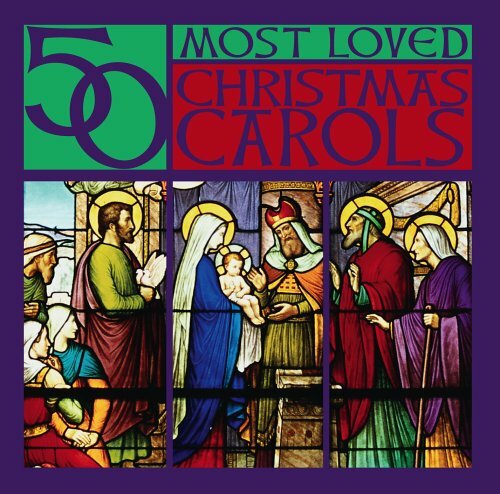 In sum, this is a sensitively arranged and performed collection of beautiful Christmas music. I have never been disappointed by any Cambridge Singers release, so it isnt surprising that I thoroughly enjoyed this offering as well. This CD is a compilation of songs from previous cds with one or two new tracks, so check your library to make sure you arent duplicating your collection in the order to complete your collection. I purchased this disk to obtain a copy of the Fantasia On Christmas Carols by Ralph Vaughn Williams which was originally released on Christmas Day In The Morning. As usual, every song is performed in a precise yet heartfelt manner. 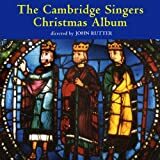 If you dont own any cds by the Cambridge singers I would personally recommend Christmas Night as the first disk to own, but if you know and love the Cambridge Singers as I do, then you will enjoy having this wonderful addition to your library. The Holidays Never Sounded So Good! 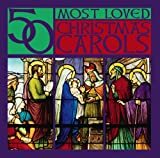 I loved the "50 Most Loved Piano Classics," so I decided to try another "50 Most Loved" collection, this time the Christmas Carols album.These are classics in their own right as the arrangements and orchestrations are enchantingly beautiful and the choir vocals provide perfect point-counterpoint.I hate to admit this, but I'll probably still be listening to this CD long after Christmas is over.There's a cinematic soundtrack quality that I find haunting.Have a great holiday with this one! Thomas Hampson has a wonderful lyric baritone voice and I love the music, so why only four stars? Most of the pieces are a little laid back for my taste. (Maybe the fact that I'm a Mario Lanza fan explains that.) Exceptions are Alleluia, O Holy Night, and Ding Dong Merrily On High. The orchestra plays with wit and taste, which is almost a given when they are conducted by Hugh Wolf. If you love Christmas music sung by a lower male voice, then this album is a must. Does anyone know if Erich Kunz's marvelous carols album is available yet on CD? For anyone who likes Thomas Hampson, Erich Kunz should be tried. His voice is similar to Hampson's voice and his affection for the music shines through. Hampson's vocals are clean and well-focused. This, as one reviewer said, is music for other seasons too. 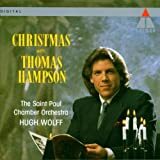 Once in a while we come across a Christmas recording that is out of the usual silly lot to which we are subjected this season.No elevator music here.Actually Thomas Hampson interpretation is probably too much to stomach for those that just want the "feel good and be merry" holiday music. The artistry of Hampson shines, and the Hugh Wolff musical direction is flawless.Their combination brings the greatness of some of our oldest Christmas music reminding us that the inspiration is in faith, in love, in the hope of new beginnings.It is to their honor that they allow us a new look on things that we just took for granted.Be it an almost heart breaking "Have yourself a Merry Little Christmas" when we suddenly think about those that will never be with us anymore; be it the awesome "Macht hoch die Tur" where even the agnostic in me recalls the days of faith and the meaning of Christmas; or be it the winsome rendering of "In dulci jubilo" that links us with the spirit of Christmas through ages, a tribute to the never ending freshness of this holiday. If there is one Christmas record that one can listen during the rest of the year, this is it. there are several sets in this series and it's much cheaper to buy these from Amazon France. You heard guy below: Beethoven needs the royality checks! There is quality beyond the Austrian green cardboard (which is lovely to look at, to say the least).In fact, the performance of the symphonies (Dresden Staatskapelle and Herbert Blomstedt) is alone worth the price.The Staatskapelle is a solid group, and Blomstedt, although less wellknown, holds his own.It should be mentioned that Blomstedt recorded many of the most celebrated 20th composition CDs on the market, and definitely knows his stuff. Peter Wohlert recorded mostly for compiliation lables, but to be selected by the Berlin Phil shows that he is a formdiable conductor in rank as well. 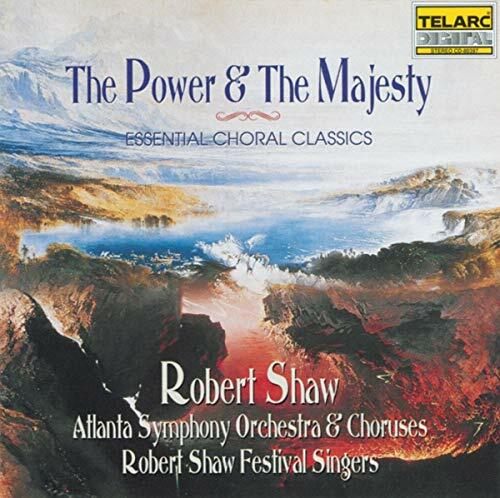 Robert Shaw Choruses At Their Best! 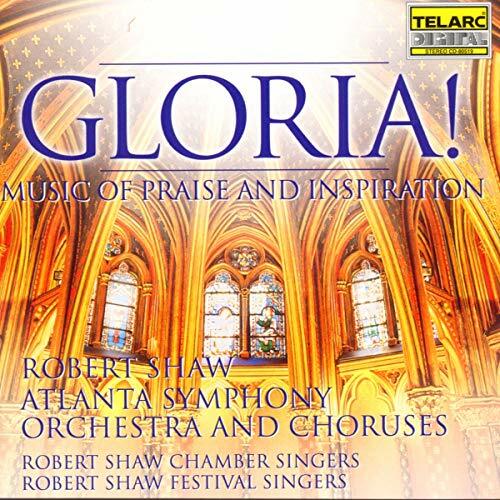 If Sir Robert were still alive, & breathing, I believe he would be caught-up making music with this awesome, majestic, mystical GLORIA, Sanctus, Hallelujah Masterworks! I lucked-up on this old collection in the few classical CD'S in Best Buy! I love this bos set, especially the second one Edelweiss is simply great, it's filled with passion and truly shows the beauty of music.But if you had already bought Ave Maria and Edelweiss please don't buy this one, they are the same, this CD is just perfect! Wow...That was my first word when I listend to this CD. This was the recording of Handel's Messiah that my mother owned, then a hefty box of four LPs. I used to get comments from the neighbors asking if I was the 'Messiah freak' in the household. This recording was a crucial part of my early musical life, and as I listen to it as an adult, I still keep finding new elements to love about it. Sir Colin's reading is that of an esteemed opera conductor, and he conducts Handel not as a stuffy museum piece but as a living, exciting work composed by a man who was in his day best known for his operas. 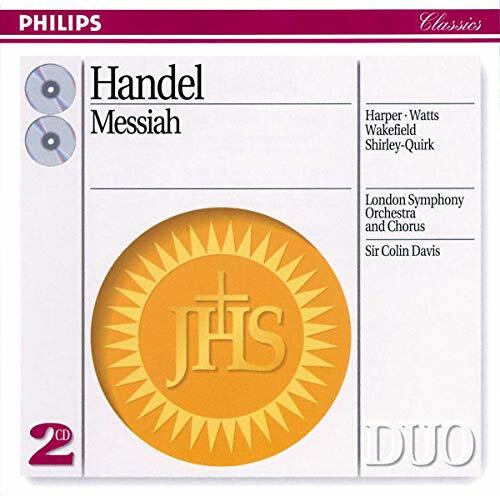 The soloists are all absolutely first rate - John Shirley-Quirk's singing of 'For Behold Darkness Shall Cover the Earth', particularly that crescendo on 'But the Lord shall arise upon thee' is worth the cost of the recording. All four soloists sing with both purity and drama, a rare combination. The chorus brings exceptional nuance to its work, yet their precision and blend are breathtaking. The orchestra's playing moves me to tears. What more can I say? In my humble opinion, this is the definitive recording of this work. 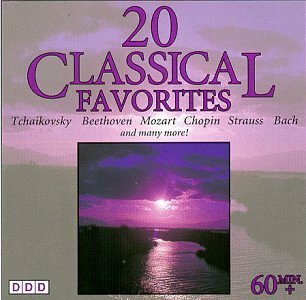 Marvelous set of classical instrumental pieces recorded by renown artists by famous composers. I have played much of this music in my younger years with the local high school symphony. 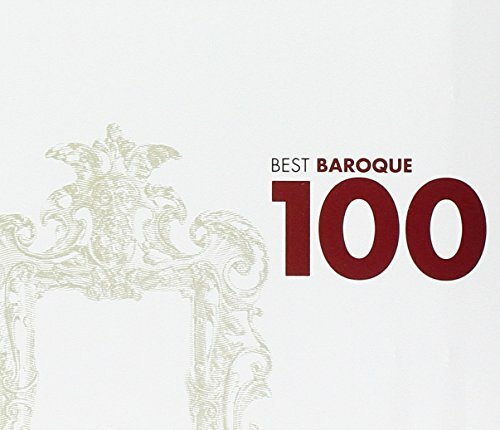 This is an excellent collection for classical music lovers. Most of the pieces selected are done very well and I thought the sound quality was pretty good. 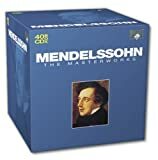 It was great to get a CD box set with so much music for this low price.I would recommend this CD collection to anyone who just wants to listen to some really good classical music. What a nice way to relax and stir up the memories of years past. With the various selections and price your can't go wrong with this one. This is a very good collection. I have had the cassette tape for years and have literally worn it out.. it squeaks almost all the way through. Need I say more? OK, I will. I can't remember why I bought this cd but I can't be happier that I did. What a pleasant surprise. A disk of 20 songs for about [price]. Very nicely arranged and perfect for relaxing, driving, or work. 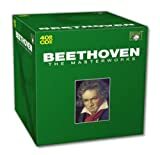 The BEST Classical Compendium EVER! 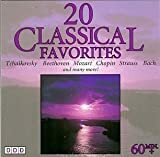 This is, by far, the best classical music collection ever! 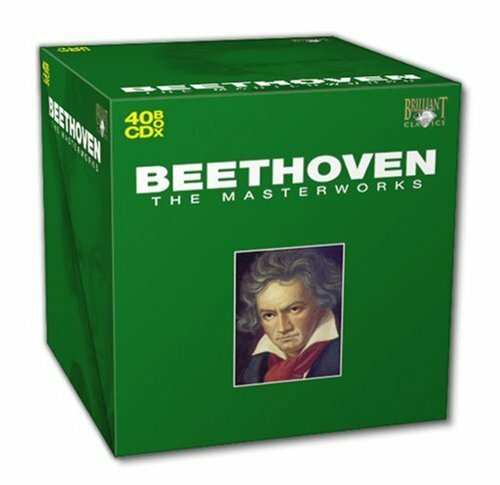 I have heardmany classical music pieces in my life, including different versions of therecordings here, and it is, by a large margin, the wisest collection ever!All of the pieces and performers were wisely chosen from all over the worldand from almost every clasical era. I will now go into the specifics withthe noteworthy highlights of the CD. 97. 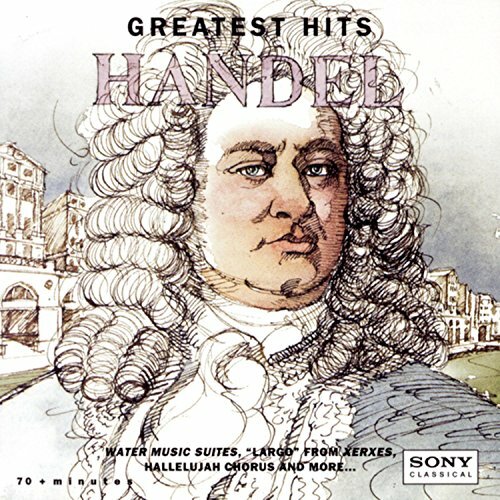 Greatest Hits HANDEL ~ Water Music, Largo, etc..
All Handel's Greatest Hits are not created equal. This collection of George Frideric Handel's "Greatest Hits" leans more heavily towards "The Water Music Suite" than his oratorical work, which is my only serious complaint about this CD as an introduction to the composer's work.Although is does have "See, the Conqu'ring Hero Comes" from Judas Maccabaeus and ends with the Mormon Tabernacle Choir doing the "Hallelujah Chorus," it does not have "For Unto Us a Child is Born" from Messiah, which I consider a glaring omission.The "new" piece for me on this CD that is a nice discovery is "Ode for the Birthday of Queen Anne (Eternal Source of Light Divine)," performed by Wynton Marsalis and the English Chamber Orchestra. ... 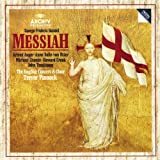 This Messiah has recently been re-released at a much cheaper price. Go back and look for the DG "The Originals" release, which is being sold new for under $12. Soy uno de los mas fanaticos seguidores de Handel y de su obra El Mesias... 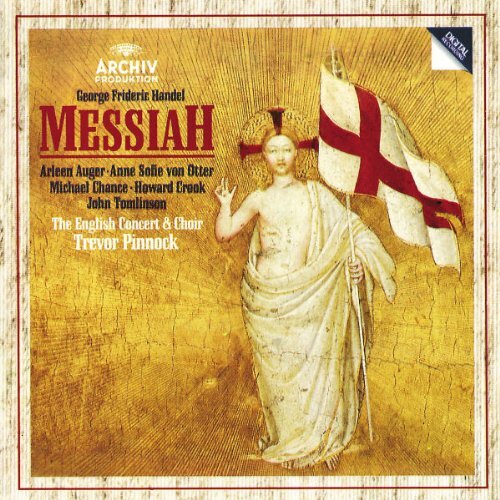 He escuchado muchas versiones de esta genial e impresionante obra del maestro Handel y, sencillamente no me queda mas que recomendar esta interpretacion, bajo la batuta del maestro Trevor Pinnock. Se nota la exigencia con que esta version se interpreto, dentro el contexto del arte barroco y la magnificencia de la pronunciacion del ingles de la epoca. La orquesta se luce impresionantemente desde la obertura... y le da a cada movimiento, toda aquella fuerza y a la vez delicadeza requerida en el sentimiento que aplica en cada uno de los textos biblicos escogidos por el guionista Jennens. El Coro del English Concert es arrebatador y demuestra maestria en la interpretacion de cada una de las arias que le corresponde. La soprano Arleen Auger, la puedo definir como un angel cantando y resulta ser una caricia a los oidos, a la vez que es capaz de arrancarle a uno las lagrimas por lo excelso de su magia interpretativa. El tenor Crook, aunque no es un tenor con tesitura para canto barroco, es realmente habil y agil al momento de interpretar los melismas caracteristicos de este brillante periodo musical. El contratenor Michael Chance, es fenomenal y quiera Dios que yo tenga el honor de conocer a este genio del canto: "But who may abide..." interpretado por Chance en esta version, es como para caer en extasis. La contralto Anne Sophie von Otter..., tiene una voz oscura y redondeada..., tambien resulta una caricia a los oidos y su "If God be for us..." es desbordante, capaz tambien de hacerle a uno derramar lagrimas por su belleza interpretativa. El bajo Tomlinson..., es barbaro!!! (Soy bajo-baritono en el Coro de la Orquesta Sinfonica Nacional de Costa Rica...) A pesar de su voz tan oscura, es tremendamente agil cuando le toca cantar los melismas y es genial al alcanzar la tonalidad brillante en las partes de notas altas y agudas...; por ejemplo: "The people that walked in darkness..." y "Why do the nations..." Tengo seis aï¿½os de experiencia, interpretando musica coral y tengo que decir que espere esos seis aï¿½os, desde 1999, para felizmente cantar esta obra "El Mesias". Ha sido fantastico finalmente lograr este objetivo..., la espera valio la pena y debo admitir que mi inspiracion ha sido sin duda alguna, la version que puede usted encontrar en este disco compacto. 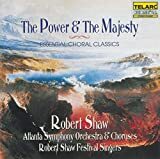 Doy gracias a todos los que intervinieron en esta grabacion (al maestro Trevor Pinnock, al English Concert and Choir y a los solistas ya mencionados), en nombre mio y en nombre del maestro Handel. 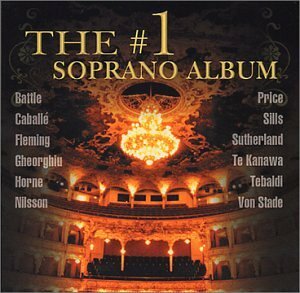 As many reviewers have said before, there is a lot of incoherencies in the choices of singers on this double CD.In order to be a truly ultimate collection, the boundaries of recording companies and rights must not interfere, as must have been in this case.This said, it is up to the private collector to accumulate his/her ultimate soprano collection, BUT these CDs are an enormous contribution! 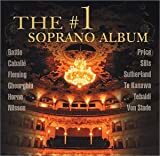 This CD is a delight from start to finish.It covers most of the most famous soprano arias and duets, featuring celebrated performances by such artists as Nillson and Sutherland, Te Kanawa, Fleming and Bonney.The booklet lists the information on each performance, but does not include the translations.As all are very familiar peices, finding the opera from which they are taken should not be much of a challenge.Not all are opera arias, either; we have "Sheep May Safely Graze" and "Let The Bright Seraphim" to mention a few of the sacred arias here.For opera collectors and those who are just starting to listen alike, this is a very enjoyable CD. I love McCartney's piece "A Leaf". Originally written for piano, it was given a beautiful orchestral arrangement for the album, "Working Classical". 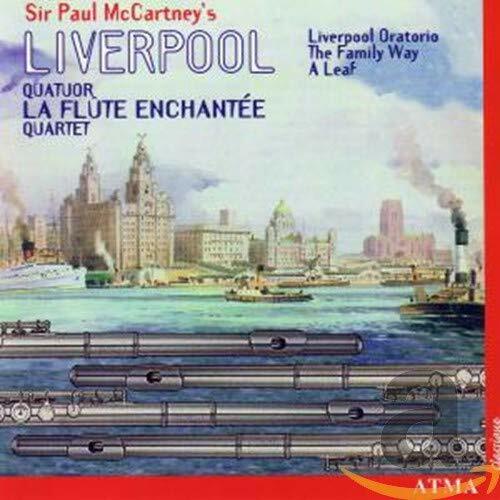 Here, it is performed by a flute quartet. A fine album.